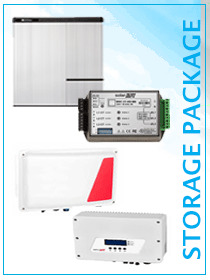 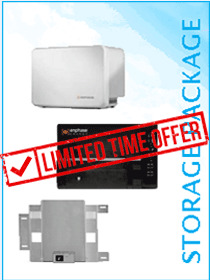 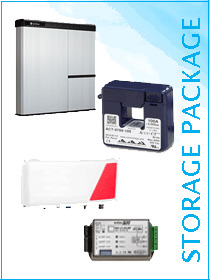 This part is a special offer made up of the following items: Part Discount 2 x EN-STORAGE-AC-1.2 Enphase AC Battery Storage Module – 1.2kWh 4% 1 x ENVOY-S-METERED-3PH Envoy-S Metered Single & 3ph Gateway with 2xCTs 4% 2 x EN-STORAGE-BRACKET Wall Bracket 450mm for Enphase Battery 4% This Self Consumption package combines the Envoy S Metered with 2x Enphase 1.2kWh Li-Lion batteries and 2x battery brackets. 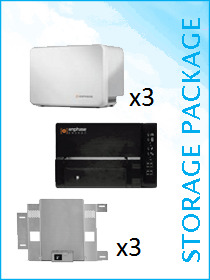 The Enphase batteries are highly modular. 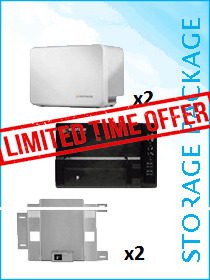 You can fit one or two and then add another at a later date if the energy needs on site change. 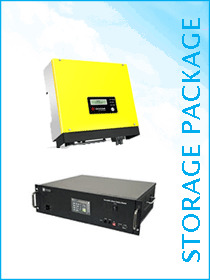 Please note that currently this system does not allow for charging from the grid. The feature might be added at later date.